The Andrew Residences is a pinnacle of city living at Meyappa Chettiar Road in District 13 of Singapore. It is the newest mixed development by renowned developer MCC Land who is constantly and actively engaged in milestone projects and property development. The Andrew Residences aims to provide future occupants with residential and commercial units made with a thoughtful and the finest collection of materials that suit the demands of today's painstaking property investors. The Andrew Residences offer premium residences and shops or offices that you can call home as well as your prime business address. The residential units are luxury blended with warmth. Premium flooring, soaring ceilings in most living rooms, spacious bedrooms and modern kitchens make for a wonderful home. The commercial units provide the perfect business space for young entrepreneurs and business proprietors. High-efficiency interior and exterior lighting fixtures is a great place to entertain visitors. Each unit offers excellent exposure and is filled with necessary features and furnishings for a more productive work mode. Featuring unparalleled facilities within the newly developed 99-year leasehold property, The Andrew Residences is truly an exciting place to work and live with comfort and style. With every need catered to, every desire taken care of - from a swimming pool to a reading room - there is always something for everyone. With a designated area for kids, the clubhouse really pleases everyone in the family. The address of calm repose or an adrenalin rush, The Andrew Residences is whatever you want it to be. For potential residents and commercial occupants with school age children, The Andrew Residences can be the ideal place to acquire excellent learning with a safe educational environment. There are a number of well established schools that are near the subject property. 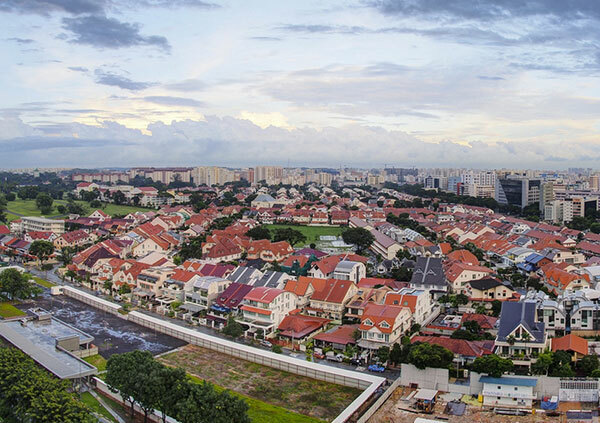 These schools include Macpherson Primary School, St Andrew's Secondary School, Geylang Methodist Primary and Secondary School, Bartley Secondary School and St. Andrews Junior College. Up-and-coming and established designers, innovators, new tech companies, artists, musicians and city dwellers can make their home and commercial shop or office at The Andrew Residences. With shops, supermarkets, cafeteria and a restaurant and tranquil surroundings to go, it’s the ideal place to invest equities like time and money. Eclectic shopping and artisan shop houses are plentiful and are located near the property. Popular shopping malls include NEX Shopping Mall, City Square Mall and Upper Serangoon Shopping Center. Be it for residential or commercial value, The Andrew Residences is simply all you need to transform your dreams into memories. Grab yourself a unit now and enjoy the impressive and interesting facilities and amenities the property can give! The Andrew Residences is located in one of the highly sought after and bustling housing District 13 of Singapore. 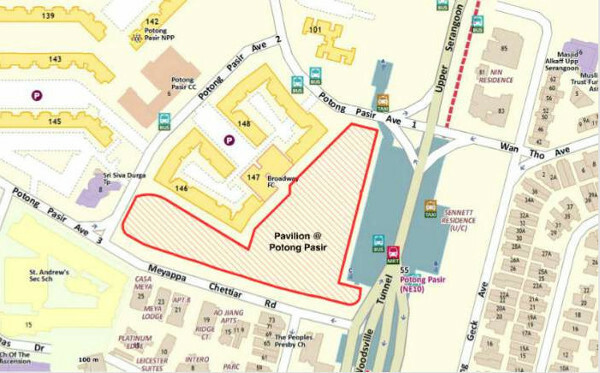 The subject property is served by MRT stations such as Potong Pasir MRT, Woodleigh MRT, Boon Keng and Bartley MRT. Future occupants may expect to travel to other parts of Singapore via Pan Island Expressway (PIE) and Central Expressway (CTE). Spacious and luxurious residential and commercial units will make up the floor plan of The Andrews Residences. It is integrated in design such that it forms the nerve center of the residential and commercial development in the district. *The Andrew Residences VVIP Preview is available strictly by Appointment. Showflat opening hours may varies. For opening hours, do call our Sales Hotline at 6100 8806 or register below for your VVIP Preview.